In the SEALs we have a saying “keep it simple, stupid.” KISS is a mandate to steer away from over-complicating things and instead seek the simple, easy to execute solution. Simplicity is a powerful principle that allows us to channel our energy like a laser beam and avoid getting stuck in the rut of rigid thinking and acting. A simple plan with a flexible blueprint will survive real world contact far better than a complex and rule-bound plan. A simple one line email will be read and understood better than a one page tome. A simple product that is easy to use and understand (think Apple Ipod) will outperform a complex product, even if it is a breakthrough technology (think Apple’s Newton). A relationship built on the simple element of trust will likely outlast any built on fancy words, offers of wonder and profit. A physical training plan based on a simple set of tools and concepts, performed consistently, will outperform a workout routine based on complicated machines or protocols. Wouldn’t it be nice if simple was easy? Unfortunately, it is not. It is easier to create complexity than elegant simplicity. Simplicity is not valued in a society which trips over simple on the way to the next shiny new thing. As warriors we must work hard to find simple. Consider the Japanese Haiku, or Tea Ceremony. These are warrior arts that require the discipline of simplicity. Sitting in a quiet room without clutter, noise and distraction requires the discipline of simplicity. Simplicity applies to every domain and begins with developing awareness of what is really necessary and important – whether in a mission plan, a business product or in your life. As we learn to ask the right questions we can start to let go of attachments that complicate things. “What would my kids think about this? Let’s practice KISS. We will be rewarded not with fame, fortune and shiny new car, but with results and contentment. Note: the response to Unbeatable Mind Academy class 1 was well beyond my expectations. Class is in session, and on Friday, December 16th, 2011 at 12pm PST I am shutting down enrollment to UM Class 1. Congratulations to the hundreds of scouts who took the risk and jumped on the bandwagon to forge their mental toughness, cultivate their warrior spirit and become the best version of themselves possible. The enrollment page will be live until noon on Friday, after which you can stay tuned for information in the first quarter 2012 for the launch of UM Academy class 2. 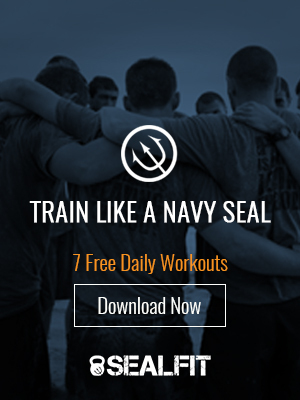 Read some of the current Unbeatable Mind TESTIMONIALS and jump on board if you don’t want to wait until 2012 to start.Its not too late to pick up some great gifts at the NavySEALs.com online store. Purchase gift certificates that can be redeemed for t-shirts, eBooks, tactical watches and more.